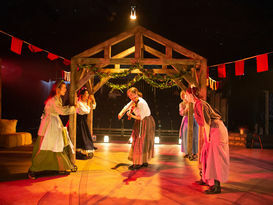 Eastern Angles Theatre Company combines heritage with theatre to make regional stories and hidden histories come to life on stage. We provide professional rural touring and site-specific theatre with a focus on new writing, new audiences and the development of new talent. Our stories and themes are derived from our sense of place, specifically East Anglia and the East of England. Since forming in 1982, Eastern Angles have blazed a trail across East Anglia over 30 plus years and expanded to national tours and Edinburgh Festival residencies. Based in Ipswich at the Sir John Mills Theatre, the company has a second base in Peterborough at Chauffeur’s Cottage. 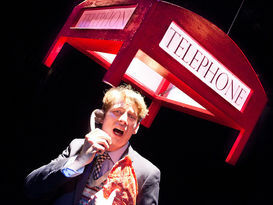 Eastern Angles has performed across Peterborough including outside the city’s Cathedral, the Key Theatre and Nene Park. In October 2016, we opened a new theatre space: The Undercroft at Serpentine Green Shopping Centre. Eastern Angles also commission new plays, provide workshops for schools with professional actors and directors and create community performances. 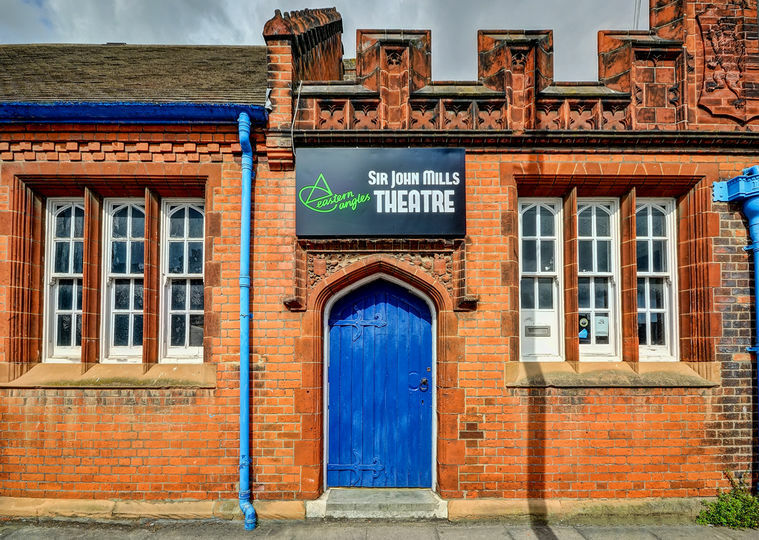 Our Ipswich home is at the Sir John Mills Theatre on Gatacre Road. The building was originally a Victorian primary school but has since been converted into a working theatre and is the central office for the company. If you ever need to collect or book tickets in person, this is where our Box Office is located. We have a free car park behind the building that is shared with the Suffolk Records Office. As well as professional performances, music and comedy nights, the theatre often hosts local amateur societies. If you're interested in hiring the theatre, click here to find out more. Eastern Angles have been given an exciting opportunity to grow and develop our site at Gatacre Road. 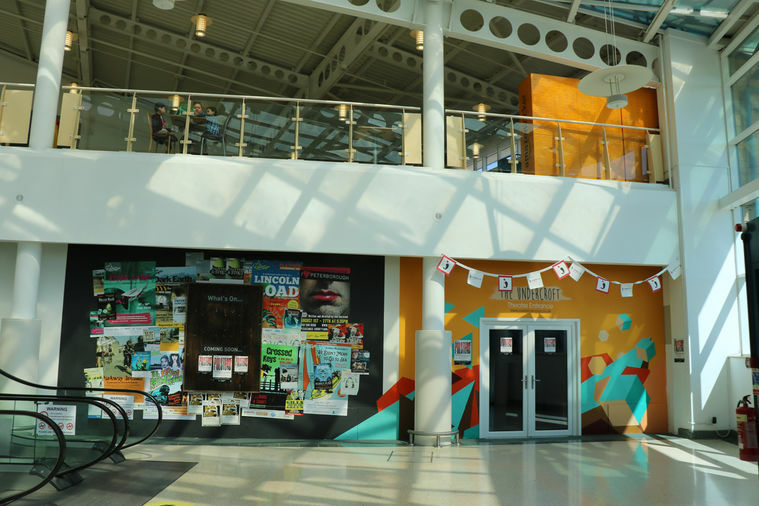 With Suffolk Record Office's planned move to The Hold on the Waterfront the space they currently occupy will become vacant and Eastern Angles are in conversation with Suffolk County Council to acquire the building. If the expansion goes ahead it will see Eastern Angles making a ‘step-change’ to evolve the theatre company into an arts and heritage organisation with place making at its heart. The proposed new hub on the Gatacre Road site will have 5 core values: Arts, Culture, Business, Heritage and Education and will be a welcome addition to West Ipswich. This development is a natural progression of our current activities and grows out of the success of Eastern Angles’ urban development work and on the ground experience in Peterborough, and the realisation of our community venue, The Undercroft. We will be carrying out a survey in the new year to canvas your thoughts and feedback on our proposal, do look out for it in your inbox. You are vital to helping shape the future of Eastern Angles. Paint Jam in the rehearsal space, next to Studio 4, at The Undercroft, 2018. Photo by Chris Rowell. Our pop-up theatre in Peterborough is The Undercroft. The venue is located at Serpentine Green Shopping Centre. The Undercroft is a vibrant space for community groups, drama workshops, theatrical shows, live podcasts and cabaret nights. The venue has a studio space for performances, a large Front of House area, which can also be used for exhibits, and a rehearsal space for workshops. 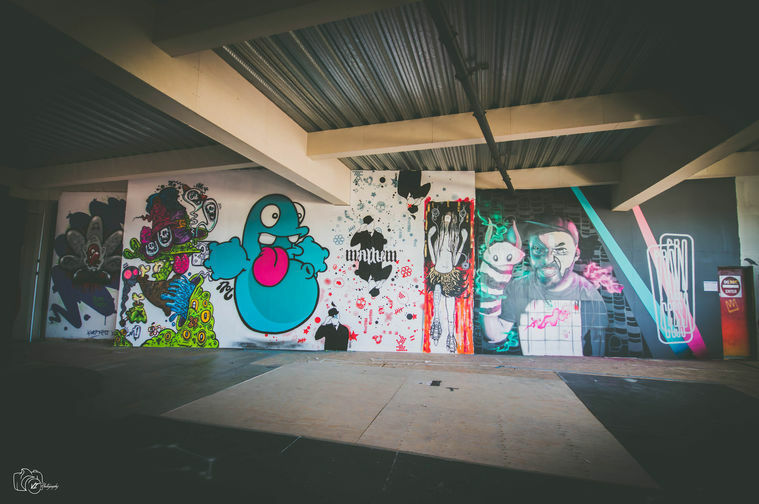 Since 2018, Korp has become the resident artist at The Undercroft, with his Studio 4, hosting paint jams and workshops. If you're interested in hiring the space, call us on 01473 218202 or email the team. Follow the venue on Twitter & Facebook. Based on the reminiscences and recollections of Suffolk Care Home residents collected over a three-month period we have created a new performance piece entitled ‘Everything Must Go’ inspired by memories of shops and shopping. The play will re-tour to care homes, schools and community venues during September and October 2018. The Tide Jetty is our 2019 Spring Tour. Written by Tony Ramsay, whose previous plays include The Anatomist (“A vision of the past pregnant with the present” Time Out) and Bentwater Roads (“an engrossing drama from the numerous pasts lurking around it”The Times), the play will be touring to locations in the Norfolk and Suffolk Broads plus many of Eastern Angles’ traditional spring tour venues from March 2019. In Your Skies - a new stage play in development, from Norfolk-based writer Mark Finbow, exploring the UFO phenomenon and the people who seek the truth. The research and development project will collate witness testimonies, youth workshops at The Corn Hall, Diss, and Flying Saucer Cafes in Ipswich and Norwich, supported by Biddy’s Tea Room. The open forum cafes will give ufologists an opportunity to come together in a relaxed environment to share their thoughts, encounters and beliefs. All of the research collected will feed into a brand new science fiction play inspired by real events, people and encounters. In Your Skies will have a rehearsed reading in February at the Sir John Mills Theatre and The Garage Norwich. 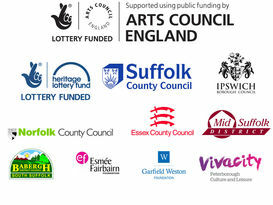 The project is supported by Eastern Angles and Arts Council England. Keep an eye open for project events. If you have a UFO experience to share or would like to find out more about the project please contact Mark. 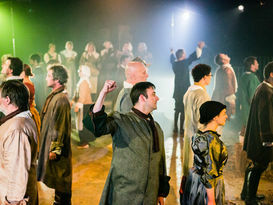 Miracles – in Spring 2020 we will tour two traditional medieval plays staged in new exciting ways to around 50 towns and villages across East Anglia. 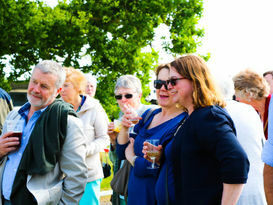 Pageant Procession – in Summer 2020 we will re-create the Ipswich Corpus Christi pageant procession from Christchurch Mansion to the Waterfront via Ipswich Town Hall, with the help of school pupils, community groups, local performers, singers and musicians. Laid Aside – in Summer 2021 we will present a community play for Ipswich exploring the local politics and human story behind the staging of medieval theatre, and examining the background to the arrival of The Reformation as it was ‘unloaded on the portside of Ipswich’.